Forgotten towns. Dilapidated hospitals. Vacated factories. Neglected theaters. Abandoned schools. 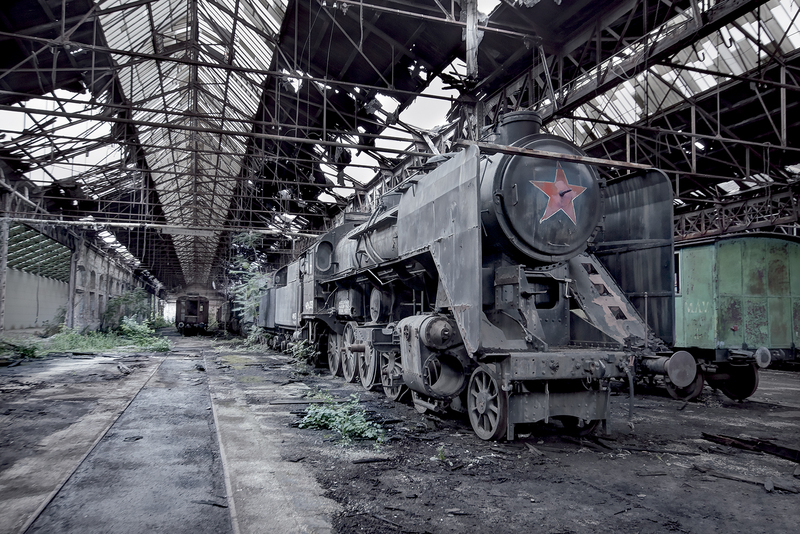 The memories of places that once thrived – and the spirit of the people that inhabited them – are the subject of Rebecca Bathory’s book Soviet Ghosts. 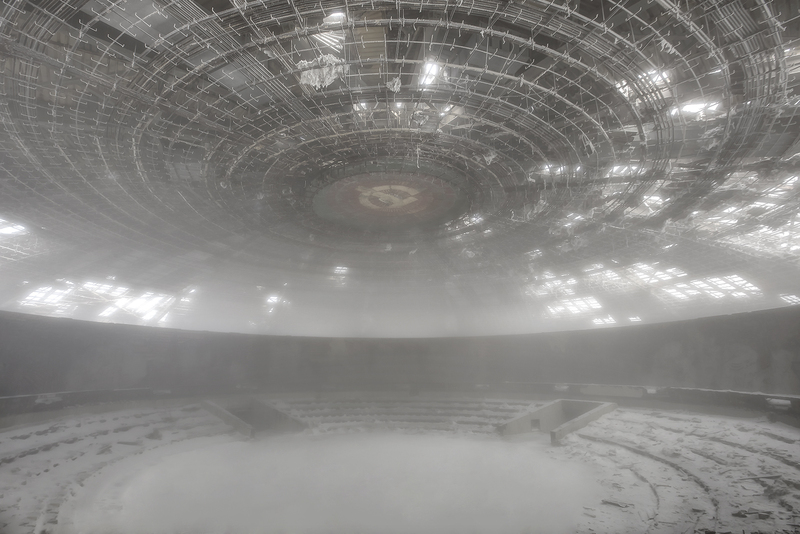 In it, she captures what remained after the collapse of the Soviet Union and its satellite states in the former Eastern Bloc. Haunting and evocative, Rebecca’s images allow viewers to dip into places that are secret, often off-limits, and filled with history and mystery. We asked her to curate a small gallery of images from the book and tell a bit of the story behind each photograph. If you enjoy this, get a copy of her book – it’s filled with many more beautiful and haunting images, stories and reflections that will stay with you, plus details of Rebecca’s incredible experiences to get the shot and bring it back. Nothing really could have prepared me for opening the hatch to the roof and walking out onto it for the first time. I walked fast to the edge and that was when the pure magnitude of nature hit me for the first time. I have not been left speechless many times in my existence, but standing there, above the clouds, seeing the sky light up a beautiful red and pink and the sun sinking into the a bed of clouds, I was truly in awe of the aptitude of what I saw before me. This was one of those ethereal moments in life, the ones that will stick with you an entire lifetime, one you will tell for years to come, because standing on top of a 70m high tower on top of a 1441m mountain, on top of the clouds watching as the mist clears and witnessing possibly the best sunset I have ever seen in my life, with friends, is a moment I will never forget. There it was, the mighty Buzludzha ideological monument, created by the Bulgarian communist party. It was unveiled in 1981 (the year before my birth) on the anniversary of the foundation of the Bulgarian state. It took seven years to create and 20 of the best Bulgarian artists were commissioned to create the inside—beautiful murals of extravagance and beauty wall to wall. An amphitheatre was created using glass and tiles with mosaics of Bulgarian and Soviet themes. I really enjoyed exploring this abandoned sanatorium in Russia with lots of interesting rooms and with things still remaining in them. 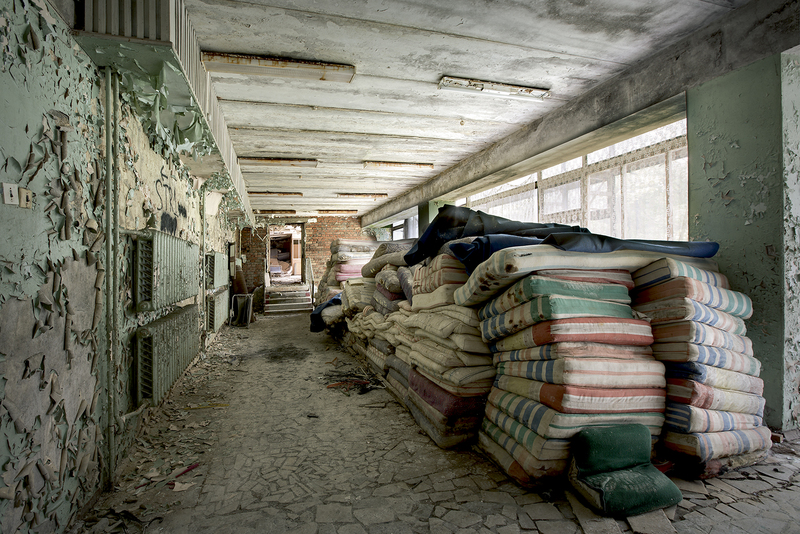 To get into the main section of the hospital, we had to crawl along a small corridor with mattresses filling it, with just enough room to slowly edge forward. I guess I couldn’t get over the amount of mattresses stored away, stacked up like something from the fairy story The Princess and the Pea. It took all of me to not climb to the top and start bouncing up and down like a kid on a trampoline. It was a very solemn place, but there were nice signs of the residents enjoying games of chess, looking at Soviet artwork, a music room, lots of books and evidence of sports like bowling shoes and skies. I got the impression the hospital must have been very cold in the winter; radiators were stacked up. I visited this amazing Soviet submarine. It was truly magnificent and very, very enjoyable to look around. 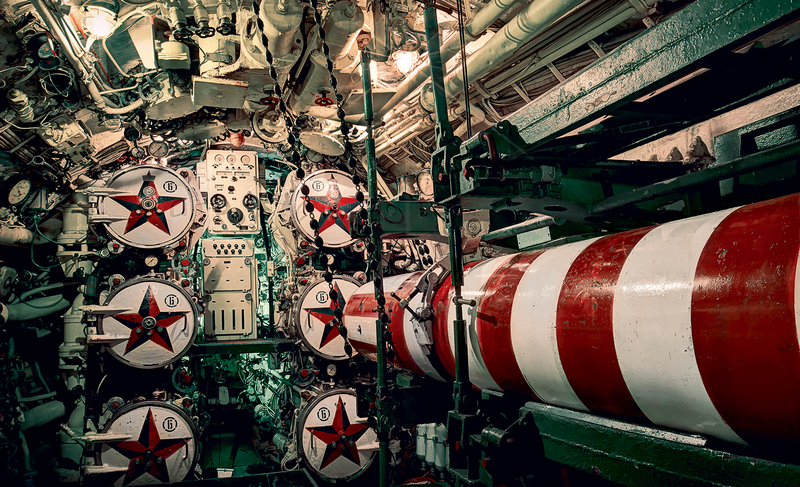 The most amazing aspect was seeing the torpedo tubes, in all their glory with bright red Soviet stars painted on their front. Also the living quarters and imagining how more than 70 men could live in there for up to three days at a time in complete silence—quite remarkable really. Deployed during the Cold War, the Black Widow U-475 was a patrol and attack submarine. Between the years of 1957 and 1983, around 75 of these models were manufactured by the Soviet Navy. This example of the Black Widow sub was commissioned in 1967, when it was stationed in Latvia. Later decommissioned in 1994, the submarine was sold and repurposed as a museum in London. During its operational use, the Black Widow carried 22 nuclear-tipped warheads and 53 explosive mines. Its torpedoes are now disarmed, but in respect for the submarine’s proud past, its new owners are looking for investors to help restore the craft to its former glory. It can be said that the disaster on reactor 4 at the nuclear plant at Chernobyl was the beginning of the crash of the Soviet Union. Chernobyl was the pride of the Soviet Union, and in times of a revolution, it was a symbol of how well industry could create lives and work for the people of the union: a model soviet city. A cultural centre, full of life, the well-educated Pripyat was a golden town, full of workers of the nuclear plant Chernobyl and their families. There were schools, a hospital, nightlife and hotels. 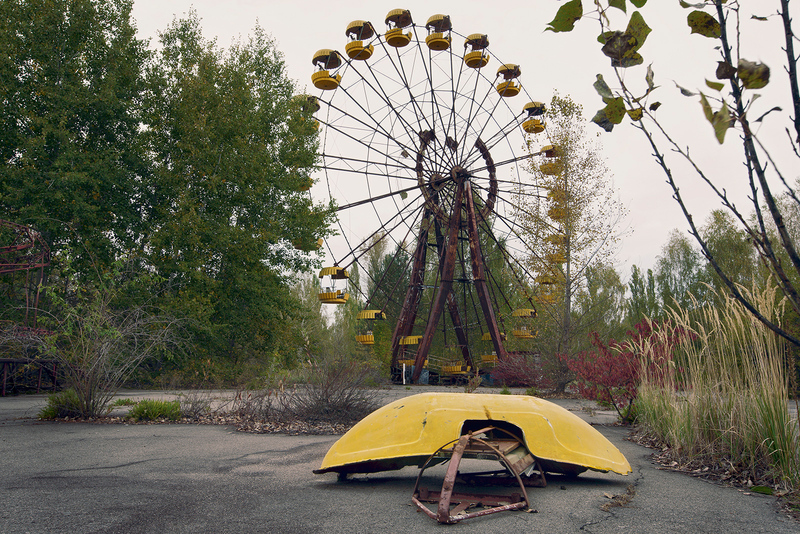 It was how the Soviet Union imagined life should be like; an amusement park had recently been built as a celebration of the success of the town, but the disaster happened just before its opening (which was meant to be on May Day 1986). It was my 4th birthday when the disaster happened. I questioned the reason as to why I wanted to go in the first place. I think it was to experience how life is fragile and that anything can happen to turn things on their heads, I think the experience will be humbling and hopefully I will learn that life is precious and the more people know about this terrible disaster the more we can thank those who gave their lives and health for us to still be here today. As the town sits decaying slowly, it is a snap shot of how Soviet life once was and it is important to capture and share it as it is today, pretty much in the same way we record and photograph the ruins of Rome or the Machu Picchu trails—all these places that once thrived and are now inhabited will one day be gone forever with only photographs as a reminder of the history behind them. A large hospital was constructed in the town of Beelitz Heilstätten in 1898. With over 60 buildings, it was originally designed as a sanatorium, but was later used as a military hospital throughout both World Wars. Hitler himself was a patient here when he wounded his leg at the Battle of the Somme. 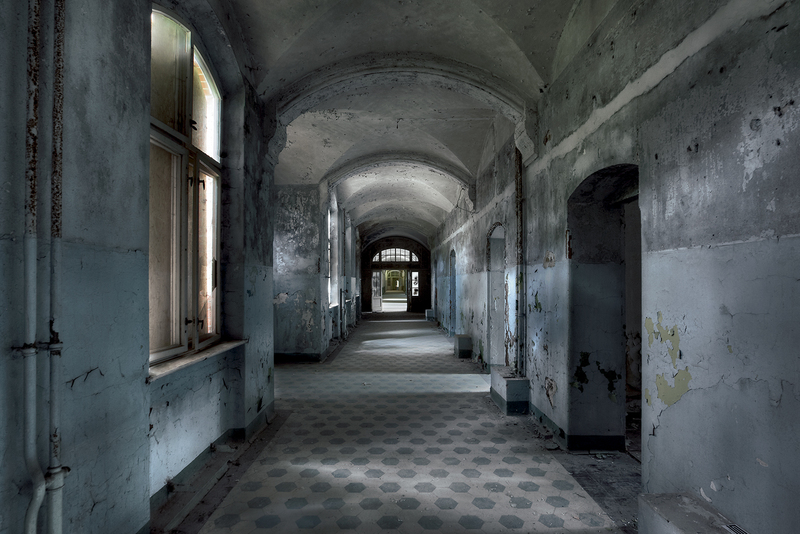 After the war, Beelitz Heilstätten was absorbed by the Soviet zone of occupation, and remained in use to become the largest military hospital outside of the USSR. The last Russians left in 1994, following the reunification of Germany. Since then, and despite numerous attempts to restore the site, the hospital has fallen into a state of severe disrepair. I love to explore abandoned hospitals, as they are so unlike thing I encounter in every day life. It’s its weird to think about the history and what happened in the place during when it was a working facility. There was something very poetic in the way nature had been claiming it back for so long. On one building, trees grew on the roof as the bricks crumbled below. This iconic Máv 424 053 is a fine example of the Class-424 locomotive manufactured in 1941 by the firm Mávag. It features the chassis number 5345 and vehicle number 424.127. Though this locomotive was renumbered several times, to 424.189 in 1961 and then to 424.053 in 1982. The train saw use during the Communist era, and features a red star proudly displayed in front of the water tank. The 424s were coal burners; in the 1960s some engines were converted to burn oil, although their performance still failed to compete with the more reliable diesel engines such as the Nohab DSB and the Soviet-built M62s. It was a clear risk going into this abandoned warehouse where these trains were left. Although the site is derelict, the surrounding area was bustling with workers. My small crew and I snuck in, but after half an hour we were caught by security. The guard didn’t speak English, but quickly showed us off the site. I’d never seen such an epic train in all my life and I knew I couldn’t leave Hungary without getting the shot I wanted of the train. So, in our nearby hotel, we set our alarms to 3 a.m., and returned in the dead of night. It was a huge risk. If we got caught again we would probably get in bad trouble. We crept in, stayed huddled in the train carriages, and listen for any sounds that would give us clues to security running checks. We got spooked a couple of times. Just before sunrise, I set up my shot on the tripod and waited for first light. We knew we couldn’t stay for long as 6 a.m. was probably around when the workers would start. We grabbed our shots while keeping a careful eye on things. On spotting first signals of workers, we hurried away as fast as we could, happy that we had got the shot we had travelled so far to get. If you appreciate Rebecca’s gorgeous artistry and brave spirit, please do visit her site, blog, Facebook and Instagram pages. We plan to follow her Dark Tourism adventures in 2016 and beyond. And you can do the same!